Many generative design processes have surfaced recently, especially in the world of programming. However, no clear framework has been described. This workshop will introduce participants to programming with RhinoScript within an easily understood framework. The selected domain will be tiling surfaces. No prior knowledge of programming is expected. 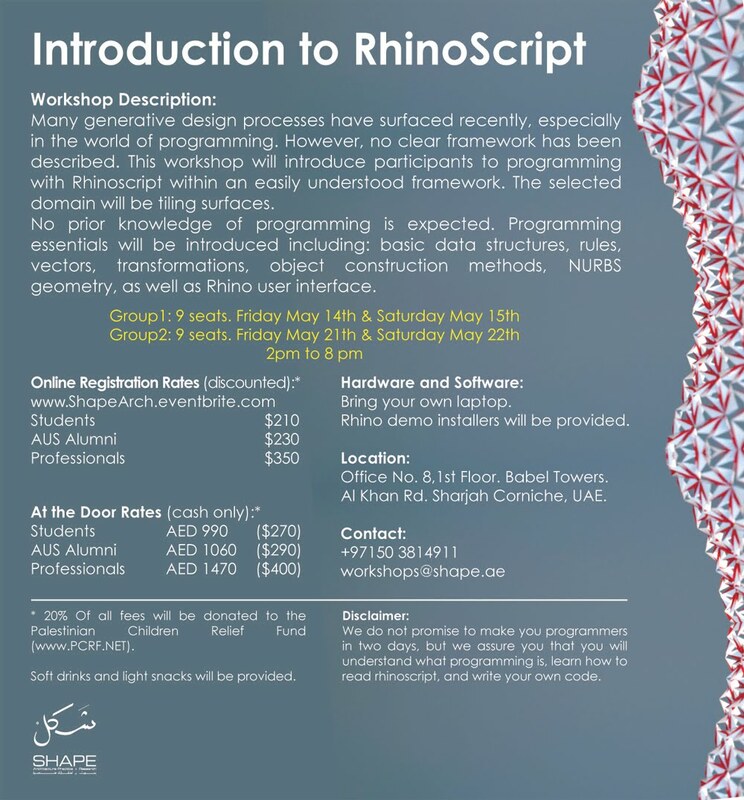 Programming essentials will be introduced including: basic data structures, rules, vectors, transformations, object construction methods, NURBS geometry, as well as Rhino user interface.